Category: Children's and Parenting Tags: Crafts, Forest, forest school, Games, Outdoors, parenting, Play, School, Seasonal, Skills, Teaching. Following on from the bestselling Play the Forest School Way, here is a whole range of new games, crafts and activities to get kids developing skills and exploring the natural world all year round. Structured around the year’s four seasons, each chapter is packed full of step-by-step Forest School games and activities that harmonize with the weather and what’s happening in nature at that time of year, with a nod to seasonal festivals such as Easter and Christmas. In spring, for example, you could make a mud birthday cake to celebrate Earth Day on 22 April, or (inspired by bird song) craft sistrums from sticks and bottle tops. In autumn, you could have a fun day out in the woods making leaf mobiles, playing “Creeping Commandos” and baking apples with nuts over a campfire. At Forest School, children return to the same location again and again, building a lasting connection with a specific part of the natural world, and this book in its year-round approach will bring this aspect of Forest School play to the fore. 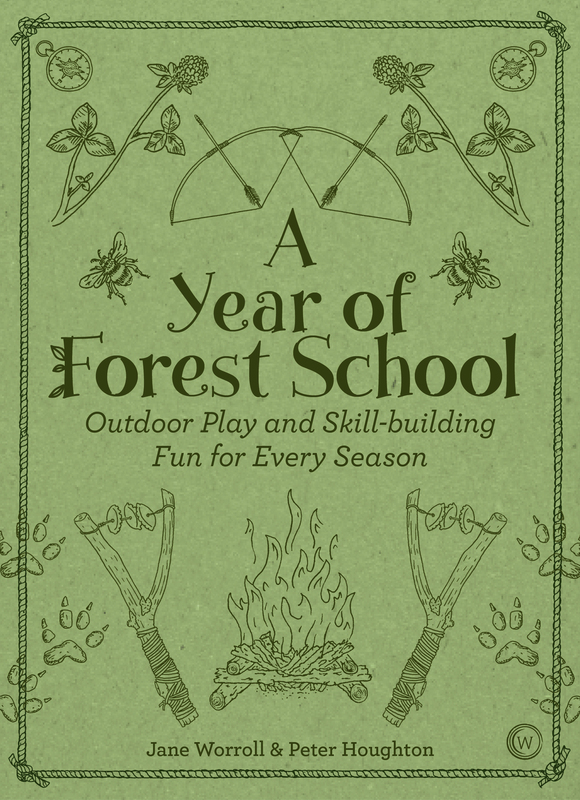 Each of the four seasonal chapters includes a description of an extended session (combining active and quieter activities plus, for some, an idea for foraging/cooking) to guide Forest School leaders planning themed days and parents looking for party inspiration.